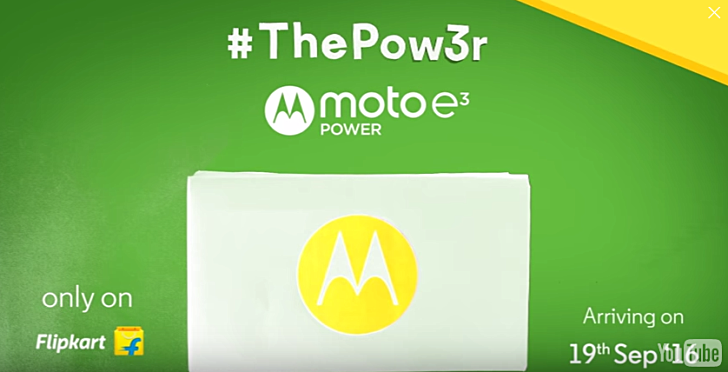 The Motorola Moto E3 Power, which was launched late last month, is all set to land in India next week - September 19. The device will be exclusively available for purchase from Flipkart. Specs-wise, the device is powered by MediaTek's MT6735P chipset with quad-core 1 GHz CPU, and sports a 5-inch 720p IPS touchscreen. It comes with 2GB of RAM and 16GB of expandable storage, and packs in a 3,500mAh battery. In terms of camera, the phone features an 8MP rear unit and a 5MP selfie cam. It runs Android 6.0.1 Marshmallow out-of-the-box. The Moto E3 Power is currently only available for purchase in Hong Kong, where it carries a price tag of HKD 1,098 (around $140).